Spring is coming! 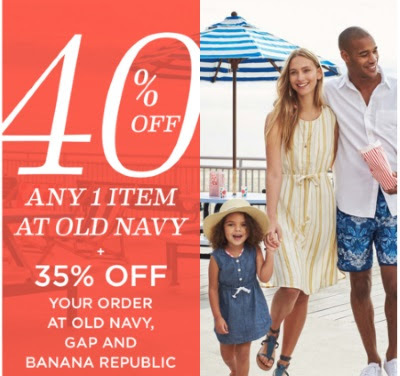 Save 35% off your entire purchase at Gap, Old Navy and Banana Republic! Plus save 40% off any one item at Old Navy! Enter the promo code SPRINGON at checkout. Offer is valid until March 7, 2016.